Custom glazed wood kiln fired earthenware lotus pond, Thailand. Custom made wood kiln fired earthenware lotus pond in mottled antique green and beige glazes and interior water sealing. These heavily cast pottery jars are fired for us in northern Thailand in the ancient pottery making process common to the area for centuries. 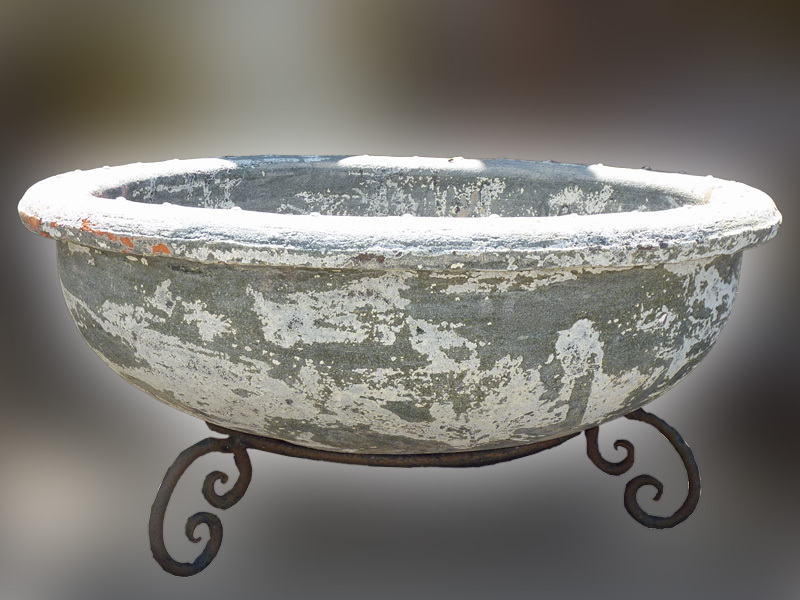 Measures 33" diameter x 12" tall and comes with rod iron stand.